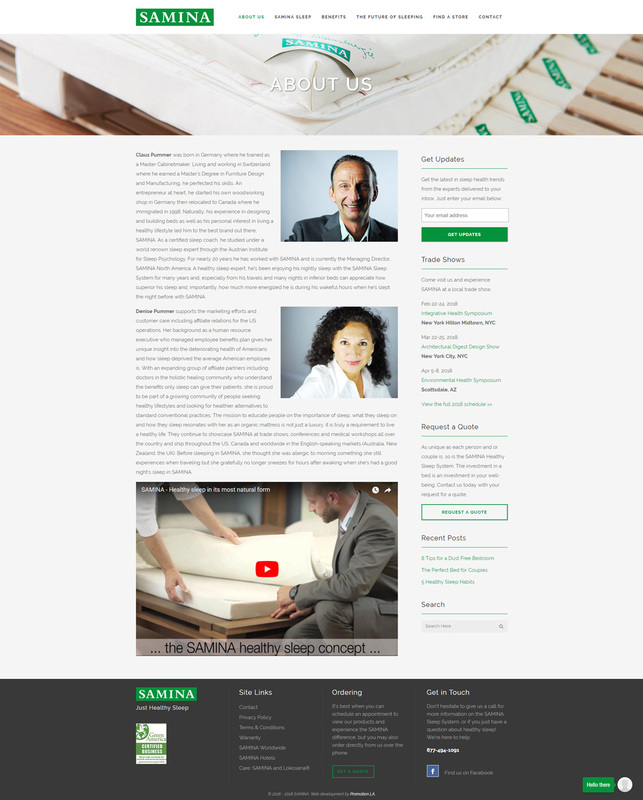 SAMINA's North American division, really needed a new website that was mobile friendly and more functional. One of the most functional features we designed for them was a live chat feature, which allows customers an opportunity to engage with SAMINA directly and in a more rapid fashion than through emails. This has helped them reduce friction in order to attract more leads. We also felt their former site lacked real information that needed to show how their products were different than other company's sleep products. We carefully wrote out informative and specific pages to highlight each of the different product categories. The Austrian company liked the new North American division's website so much; they re-developed their own site, using a clean layout that matched our work.